Hayashi 911 - Just Beauty Products, Inc.
Hayashi 911 There are 4 products. 911 Conditioner: Daily Remedy for Damaged Hair For Damage normal, or color treated hair. Botanical extracts help seal color, moisturize, silken and strengthen while providing incredible shine. 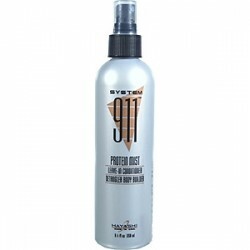 911 Protein Mist Leave In Conditioner: 911 Protein Mist Conditioner and Body Builder detangles, volumizes, protects, silkens. In salon, use also as pre-wrap for perms. Contains antistatic agent, Cetrimonium Chloride. Helps eliminate chemical odors. 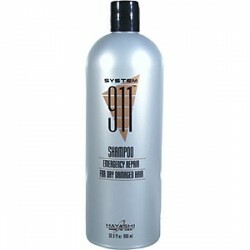 911 Shampoo: Emergency Repair for Dry Damaged Hair. Moisturizes, Conditions, Protects and adds body.